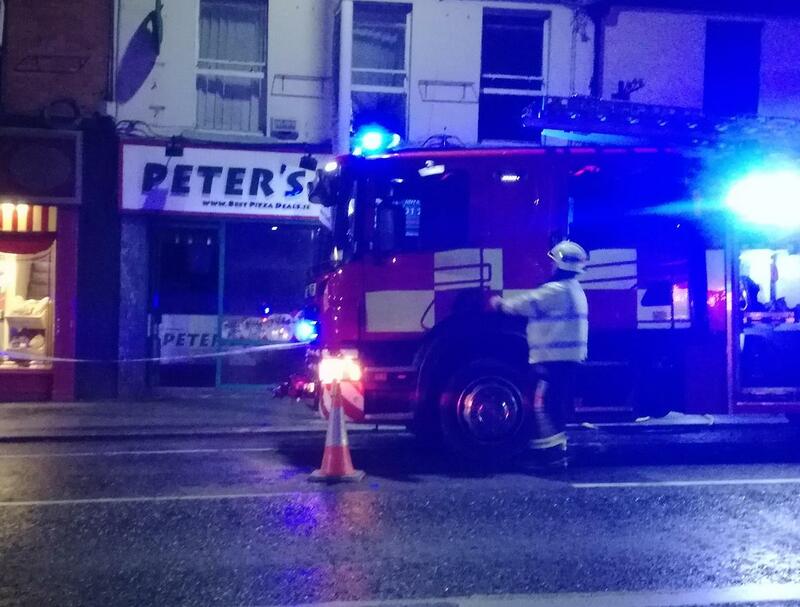 Peter's Pizza Bray... It has become more than a word... It is a statement, a true meaning behind what perfection is... Perfection lies between the borders of heaven and paradise. Some may believe the two are one. 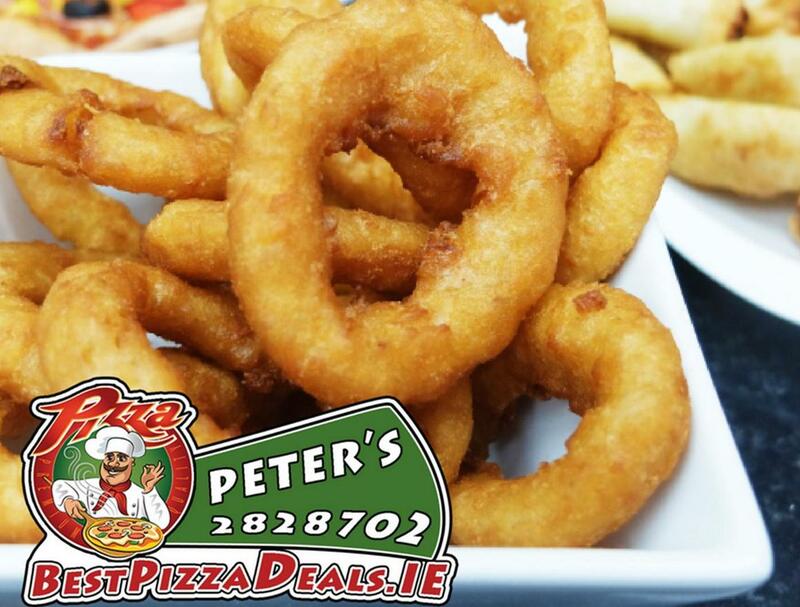 But no... We believe Peter's Pizza is that glorious in between... Order now and you will not be sorry . The best service ever as the guy on the phone was very pleasant and the food is fantastic. 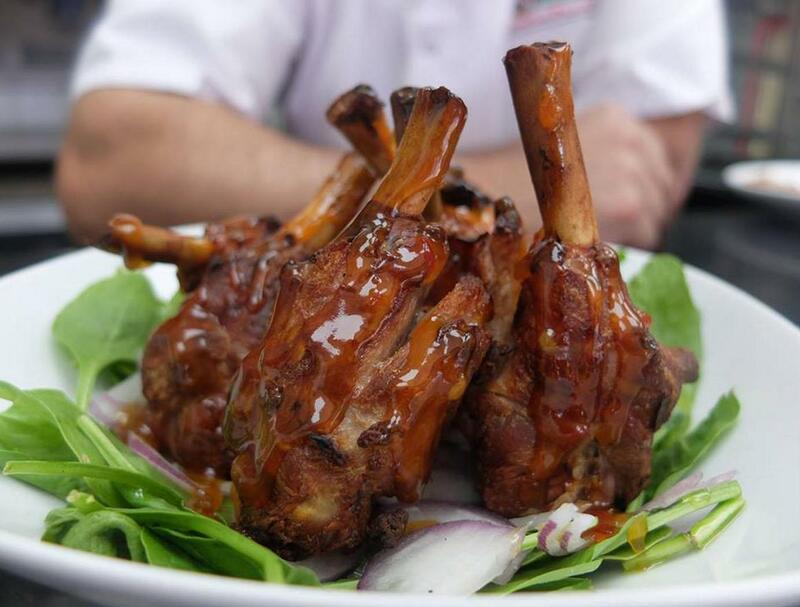 Great pizza and reasonable prices! Have to say, 1000% best fried chicken. 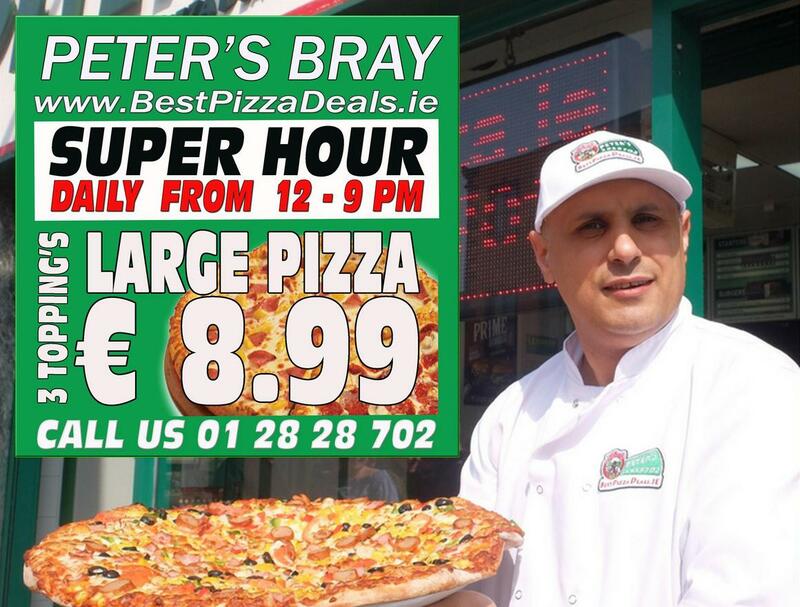 I'm Peter and I sell pizza in Bray since 2003. Why I create a new website? Customers have moved to online order these days. Ordering websites that DO NOT belong to me are charging up to 25% commission and customers are those who pay that extra money for their food. I remember that in 2015 my invoice from them just for two weeks was €802.62 commission. 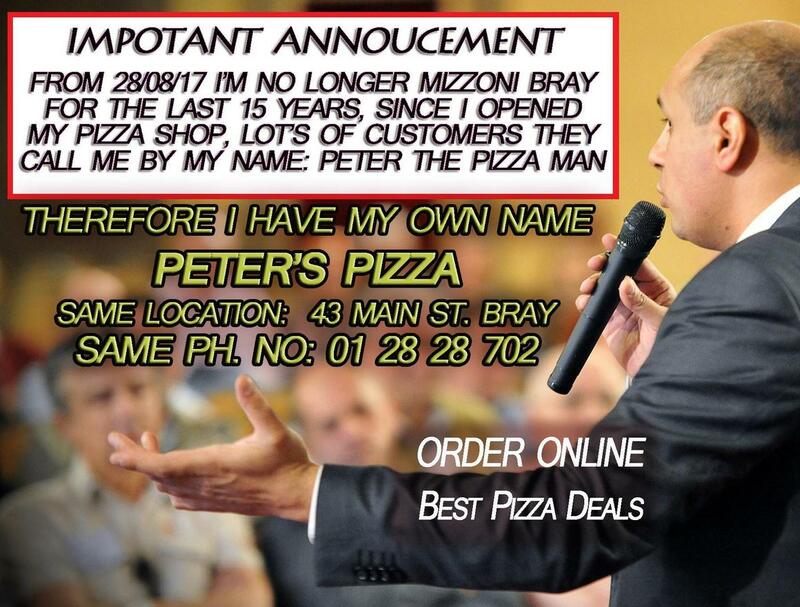 I couldn't reduce the pizza prices!... more than that... I was forced to burden my customers with the extra cost of online orders. (I just increased my pizza prices on their websites to cover the commissions). 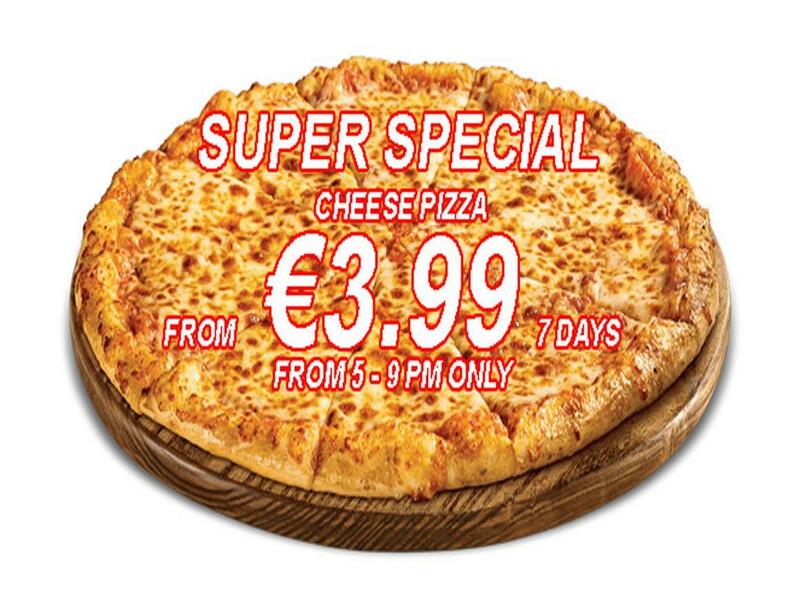 Because I didn't like that at all I had decided to create my own order online page BESTPIZZADEALS.IE with no commission fee which will allow me to have lower prices so everyone can enjoy best pizza deals and offers. 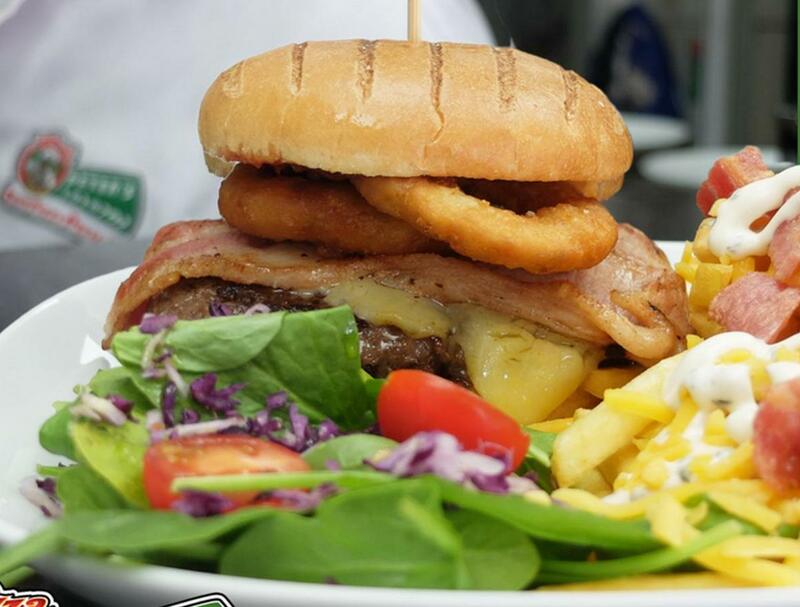 From now on WE DON'T HAVE TO PAY ANY COMMISSION TO NOBODY ANY MORE so our offers and deals can be much cheaper and still best in Bray. 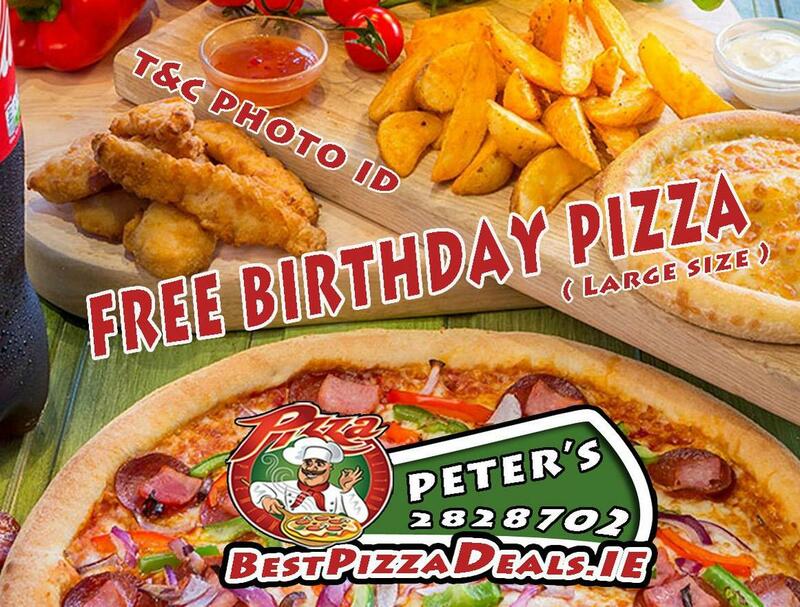 Peter's Pizza Bray offer you FREE BIRTHDAY PIZZA. Please note: PHOTO ID or BIRTH CERTIFICATE REQUIRED.